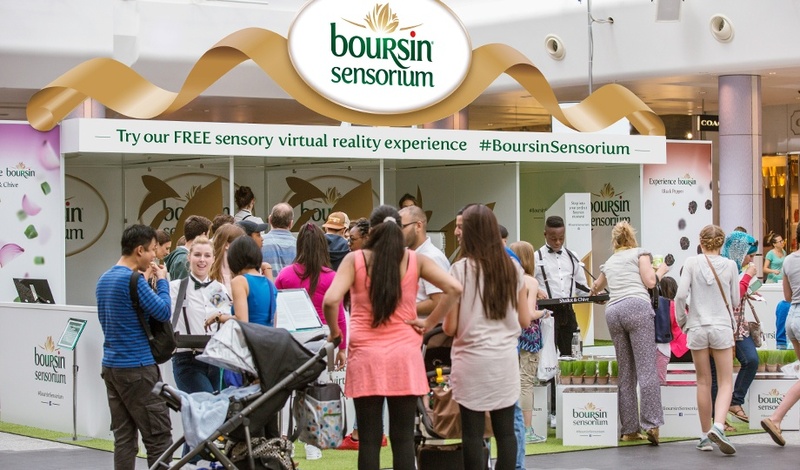 Boursin, the indulgent French cheese brand owned by Bel UK, has launched a new virtual reality roadshow with our help. The event purpose was to give consumers a more sensory experience of its products. The Boursin ‘Sensorium’ made its first appearance at Westfield Shepherds Bush on 26-28th June. Next stop will be the Foodies Festival at Alexandra Palace, London from 3rd-5th July before the experience visits a series of other Foodies Festivals and Country Shows over the summer. 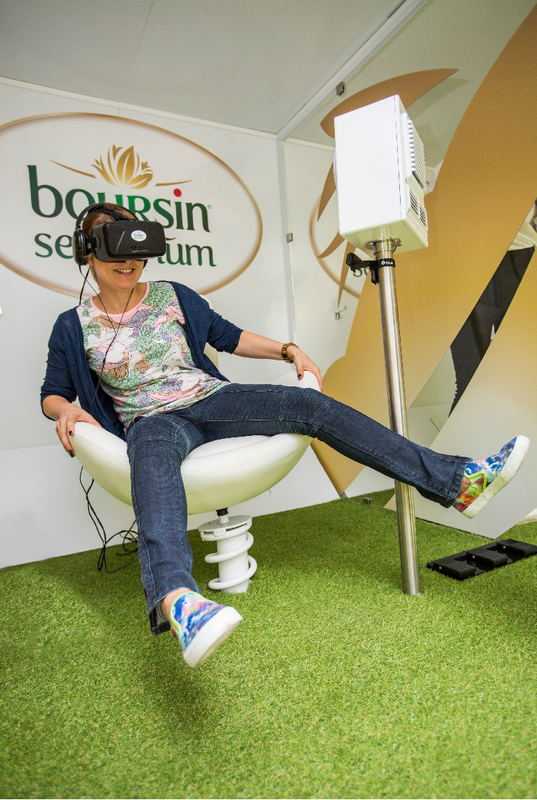 Our new virtual reality experience uses Oculus Rift headsets to allow participants to virtually explore the contents of a fridge and experience the best Boursin ingredients up close. The new VR brand experience is designed to recruit new and more frequent consumers to the speciality cheese brand and its various flavours, such as Black Pepper and Shallot & Chive, which are now available in portions. Alongside this sensory experience, consumers will be offered samples of Boursin’s Black Pepper and Shallot & Chive flavours, with chives and peppercorns prevalent throughout and incorporated into furnishings. This new experiential marketing campaign is part of a wider strategy to encourage consumers to trade up their everyday treats for something a little more sophisticated. The live activity is backed by influencer relations with lifestyle and food bloggers and targeted digital activity on paid-media.